What team won the 47th International Polo Tournament Gold Cup Winners 2018? 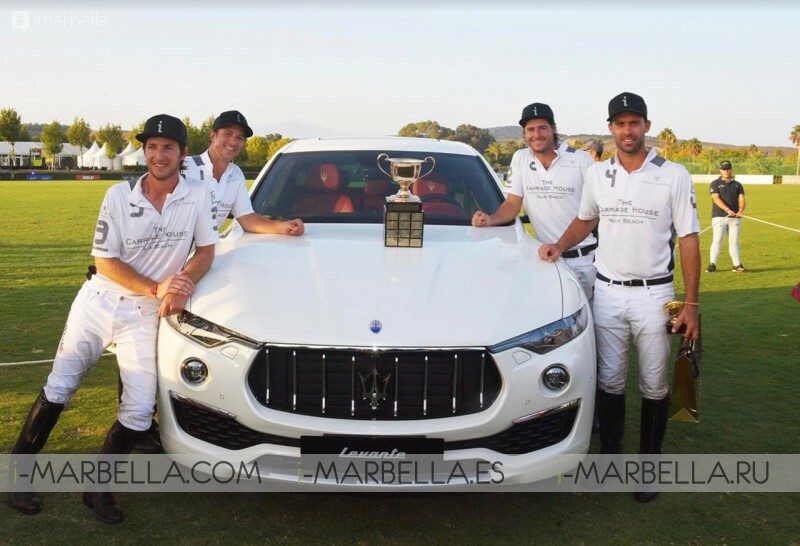 After beating ''Lechuza Caracas' The Indiana won the trophy 13-8 in a thrilling final on August 31st, 2018 at Santa María Polo Club that received absolute full fans to witness the Sport of The Kings in Sotogrande, Spain. The Gold Cup which is part of the Great Sland world was given by the model Nieves Álvarez, ambassador of Maserati. 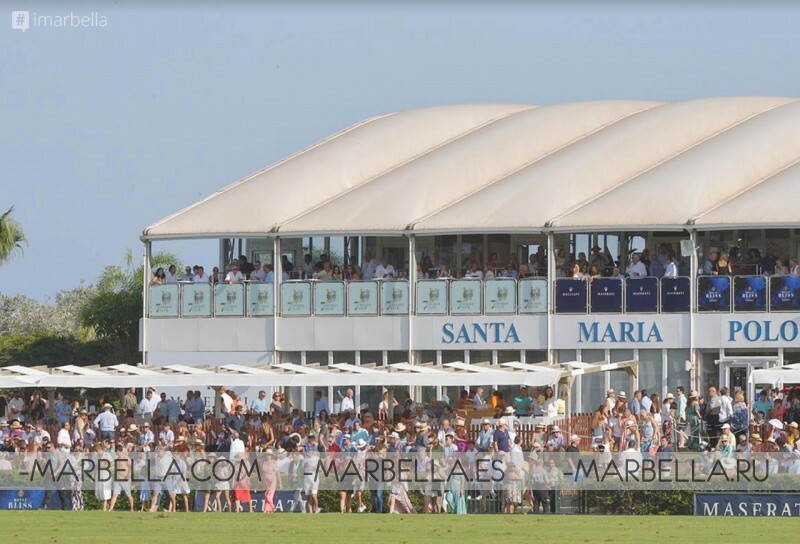 The Polo fans filled the stands rapidly of the Santa María Polo Club in Sotogrande Spain to enjoy what was the most interesting game of polo during the year of 2018. 2018 The Gold Cup, the most valuable award and the highest title of this competition, one of the four most important polo universe. was given by the model and ambassador of Maserati, Nieves Álvarez. The tournament was compound for a total of 18 teams from different nationalities. It's believed the best Polo players around the world have participated in this event, that took a final game and conclusion ceremony on September 1st. La Indiana: Michael Bickford (1), Nic Roldan (7), Facundo Pieres (10), Alec White (4) a truly international team compound by Two Americans, an Argentine, and an Australian walk. Facundo Pieres, a polo player from 'La Indiana and number 2 in the world ranking, picked up the 'Aedas trophy' for the best player in the final from Mikel Artaza, on behalf of Aedas Home. Pieres also won the 'Tío Pepe' trophy as top scorer of the high-goal Gold Cup, given by Álvaro del Río, Bodegas González Byass advisor. The mare 'Azúcar', rode from Facundo Pieres, was recognized with the Trophy '¡Hola!' to the best horse in the tournament, The prize was given by the president of Santa María Polo Club, Antonio Ortiz. After the individual prizes, the Andalucía Minister of Tourism and Sports, Francisco Javier Fernández, and San Roque Mayor, Juan Carlos Ruiz Boix, presented the award to the second team 'Lechuza Caracas'. 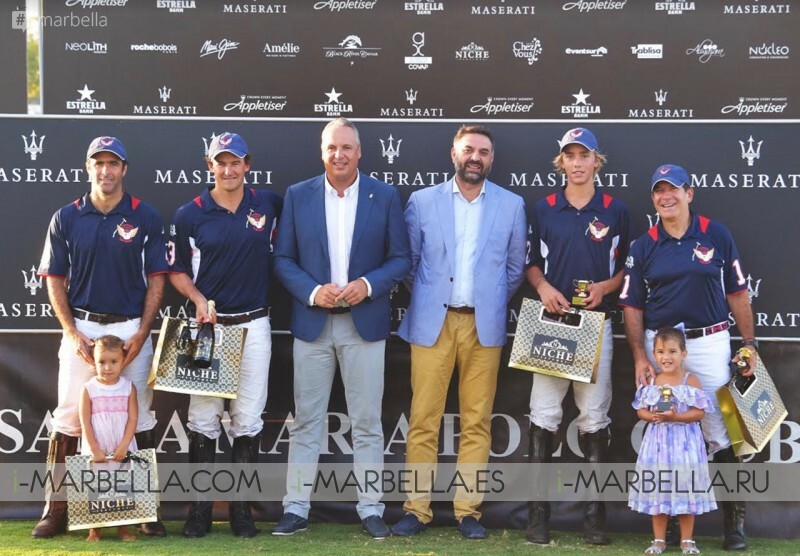 Finally, the ambassador of Maserati, Nieves Álvarez, presented the prestigious Maserati Gold Cup with a high handicap to the winner team 'La Indiana'. After the game, the Indiana team member star, Facundo Pieres, declared the one final game as "the best match" of his team in the 47th International Polo Tournament. "In the field, we had a great team that came with the vision of winning the Silver Cup and we were playing very good, but we were fine, we made a very good fourth chukker and we managed to take off, "said the best player of the game. "We were very good together as a 4 team, I am very happy to be able to win this title, also thanks to this group of people who work behind the scenes and for the horses. Now we have to enjoy this Gold Cup, which is something hard to achieve every day, and then go to work harder and more motivated for the new upcoming season in Argentina, "added Pieres. Santiago Gómez Romero, another of the members of the winning team, said: "We started the first chukker very well, We had a bad second, but in the middle, we made a tremendous difference. beating the Lechuza Caracas gives great happiness. " After the grand finale, the atmosphere continued at the Santa María Polo Club with the performance of the rock band from Malaga, Bert Blackmont & The Bucks, which joins the numerous concerts that have taken place over these five weeks of the competition of the 47th International Polo Tournament in Sotogrande Spain.